OC’s only National Natural Landmark. Nearly 40,000 acres of open space on the historic Irvine Ranch have been designated a Natural Landmark by both the State of California and the U.S. Department of the Interior. This honor recognizes the exceptional value of these lands to California and the entire nation. 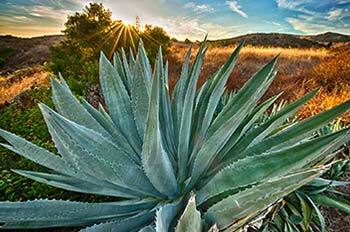 The Irvine Ranch Natural Landmarks is part of the 50,000 acres of land preserved on the historic Irvine Ranch. 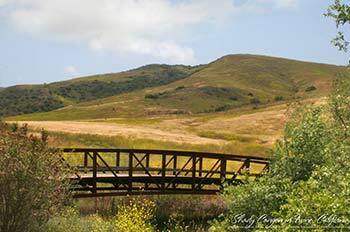 The Irvine Ranch Natural Landmarks are not only unique in their biological and geological significance, but also in the level of partnership represented across the many organizations and agencies united by a single designation. Click here to view a list of Partners on the Land. 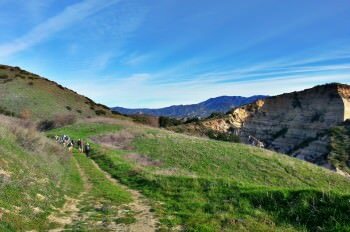 The Irvine Ranch Natural Landmarks received national recognition in 2006 when protected land on the former Irvine Ranch was singled out for its rare biological and geological features through designation as a National Natural Landmark. This designation is awarded by the U.S. Secretary of the Interior for natural areas in both public and private ownership. National Natural Landmarks are recognized as outstanding examples of the natural heritage of the country alongside national parks, recreation areas and national monuments. Nationwide, fewer than 600 sites have received this designation. Then, on Earth Day 2008, nearly 40,000 acres was designated the first California Natural Landmark , under a new state program that officially recognizes and encourages the stewardship of extraordinary examples of natural resources. The Irvine Ranch Natural Landmarks contain important natural habitats and unusual geological formations. The landscape is home to hundreds of species of plants and animals, including eagles, badgers, mountain lions, Tecate cypress trees, and many rare species of birds, reptiles, amphibians and plants. Scientists have identified this region as one of the world’s biodiversity “hot spots” — an area with large concentrations of different species. Visit the Activities page or scroll through the photos below to discover the Irvine Ranch Natural Landmarks.